Just a teaspoon of Econcentrate dish soap will give a sink full of suds while removing the toughest food grease and grime. 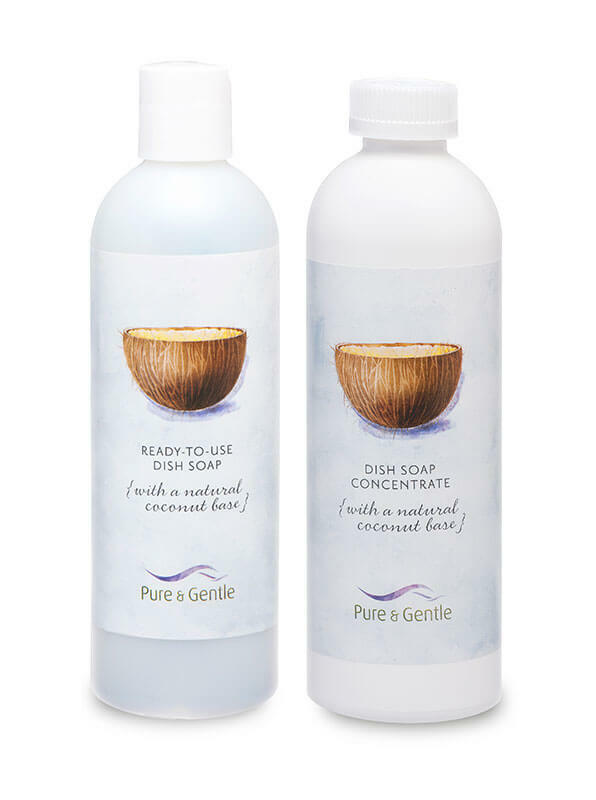 The Econcentrate dish soap is a plant-derived hypo-allergenic product that does not contain any bleaches or any harsh polluting chemicals. Dye free, phosphate-free and safe for septic systems. Highly concentrated reduces packaging by as much as 6 times of conventional dish soaps. THIS PRODUCT REQUIRES DILUTIONS BEFORE USE. Each size of product comes with empty 16 oz dispenser bottle with dilution marks and flip top cap.